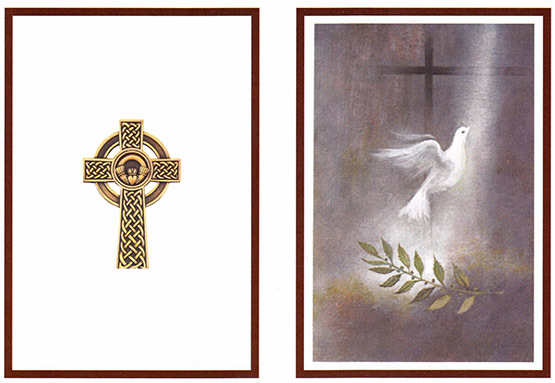 We have been producing beautiful memoriam cards since 2001 and have provided over 4500 orders in that time. 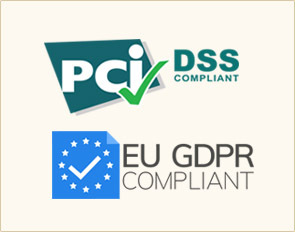 We are genuinely at the end of the telephone to take any queries you may have and we are well versed in taking instructions whether it be over the telephone, via e-mail or if order form is downloaded and posted to us. As we are privileged to work from home in a beautiful rural setting, we do not keep office hours and can be called any time until 9pm, 7 days a week. 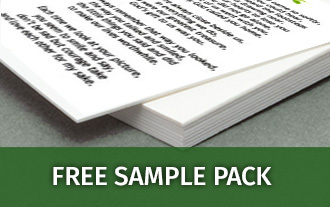 You can request a free pack of sample cards, completely free of charge, which contains all you need to place an order. We are very flexible and will take as much time as you need to help you during a difficult time. 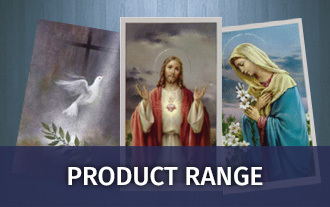 Please take a look at our product range to see what we offer and feel free to call us if you have any questions. "Many thanks for being so kind and helpful. You are a very caring person and I found it so easy to talk to you at this very difficult time. Click the links below for more information and to place an order. 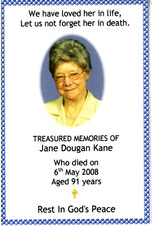 We specialise in providing you with beautifully made Memorial Folders produced as a reminder of your dearly departed loved one. We use only the finest Kodak papers to produce bookmarks, which are then laminated to protect them from fading and damage. Dimensions: 17cm x 6cm. Due to customer demand, we have introduce two new Colour Thank You Cards to our range. Our popular B&W thank you cards are also available for you to choose from. Our Keyrings are a perfect way to remember a loved one. 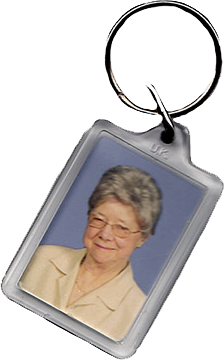 Price includes a photograph inserted into the Keyring. 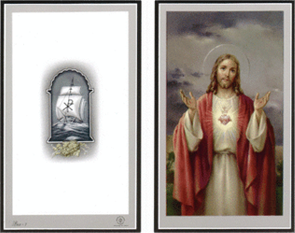 “May I take this opportunity to thank you for the kindness you have shown. 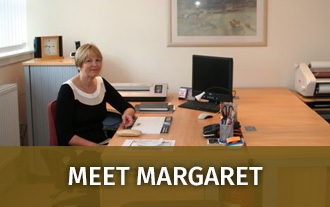 I would not hesitate to recommend to others, the sincerity and professionalism of both yourself and your company.